Its All Glow Events Ltd.
ITSALLGLOW specializes in illuminated LED tablescentre pieces / Balloon Arrangements and Event Management. We have been established for more than 15 years now and have been satisfying our customers. a light tunnel, into a function room elegantly furnished with poseur tables, lit panels of Bond himself. There’s more! Rotating film reels and centre pieces complete this star studded glam event. sound system, as the evening progresses watch the sun set and hear the crickets close by. We have the perfect props and centrepieces for this amazing theme. 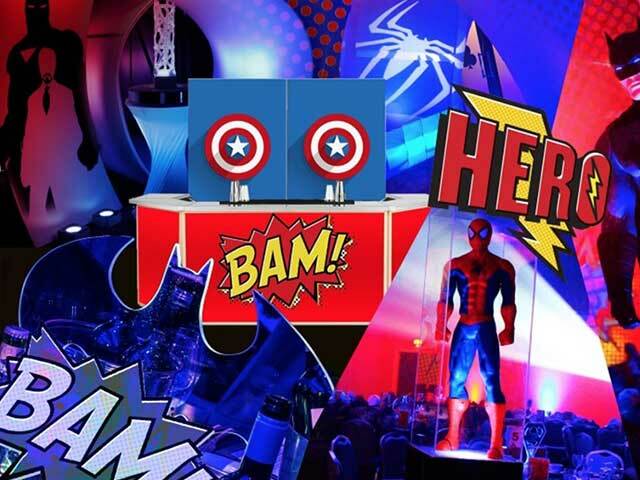 Comic strips, super heroes, statues all uniquely lit with centrepieces that enhance the theme. Whether it’s football or tennis, formula 1 or horse racing. We will create the perfect atmosphere. change colors during the evening. 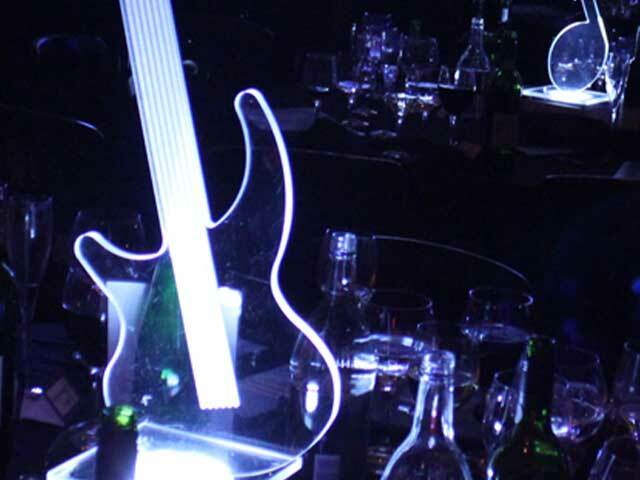 Make the event glorious with Its All Glow Events Ltd.
For musical themed events, this piece will bring some real rock and roll to your event. Lit in one colour or using DMX for amazing light effects. Bring in some room styling with light arcs, string drapes and personalised light panel to perfect your theme. A great alternative to the ever popular mirror ball, giving your event a real touch of class, and making the room Sparkle all night. 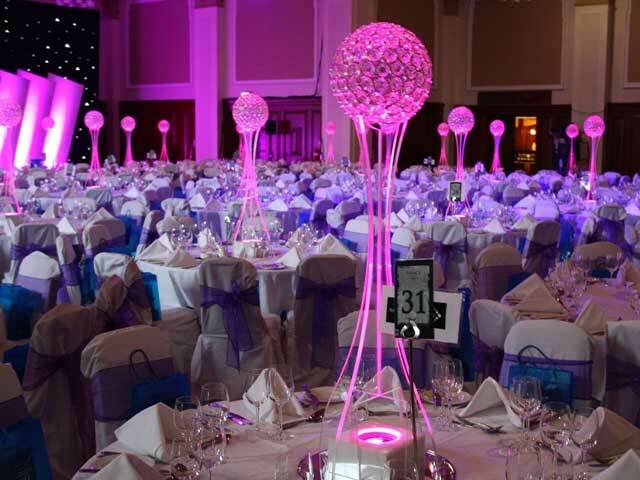 As always the table centres come in a colour of your choice and can be controlled wirelessly with DMX crafted to perfection. 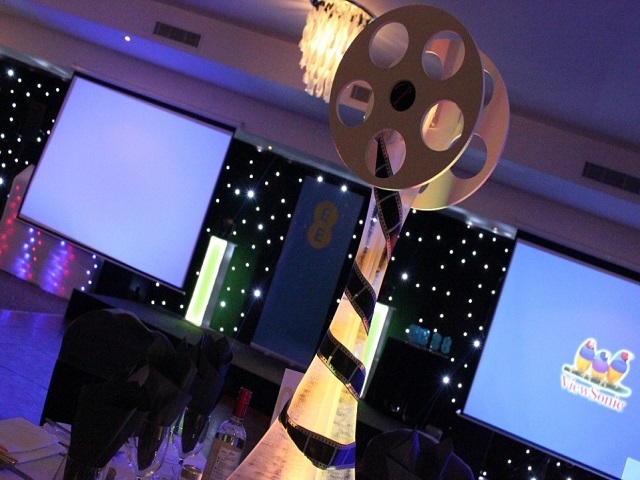 The film reel is extremely popular centre piece and works fantastically with the ever popular Hollywood styled night. The film reels also look fantastic on a rotating stand or an static acrylic base. As with all of our LED centre prices can be controlled wirelessly..
Glamour,Glamour,Glamour. Red carpet, lit balustrades, lit panels featuring super famous stars of the big screen. 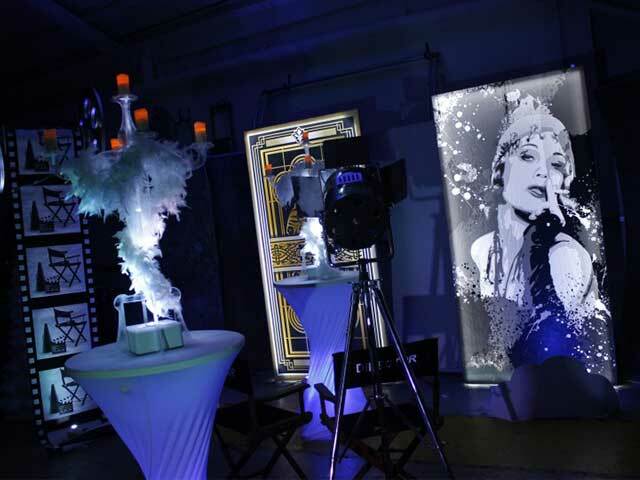 There’s more!Rotating film reels and centre pieces complete this star studded glam event. We have the perfect props and centrepieces for this amazing theme. Comic strips, super heroes, statues all uniquely lit with centrepieces that enhance the theme. Get it today to experience the KAPOW Action! Take your guests on an exciting tour where the Magical Circus comes to your event. The dream circus is full of surprises and your guests will be thrilled by the uniqueness of the theming. 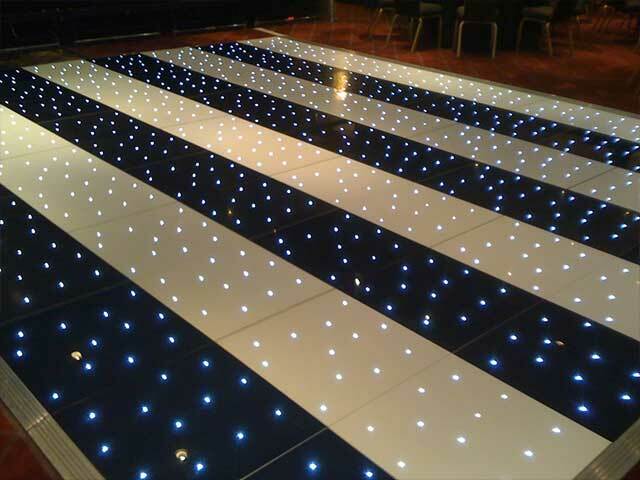 Our LED & Starlit Dance Floor is perfect for wedding receptions, civil ceremonies, corporate events, wedding receptions and general parties. As you and your guests are dancing the night away. 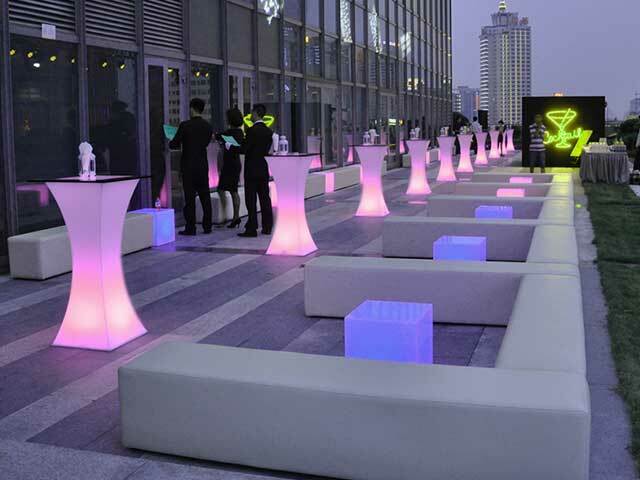 Our illuminated LED Poseur Tables are a new and unique way of adding colour and class to an event. These tables are fully illuminated (top and sides) unlike other similar models. Get our Poseur Tables today. 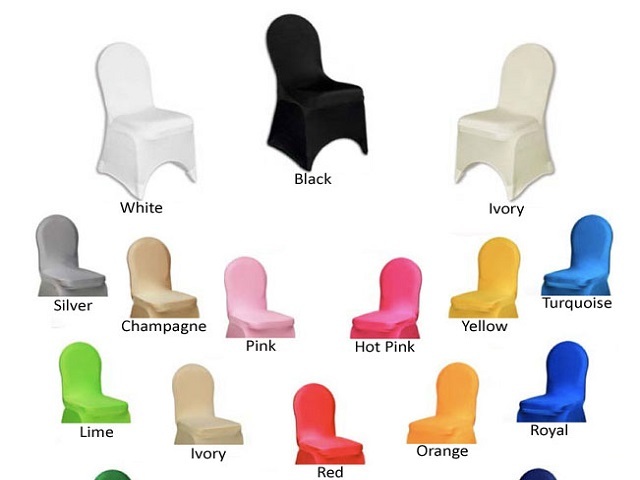 Chair covers really do transform the look of conventional chairs and can totally transform the look of an event room. Gone are the days when you have to use the chairs that you are given by your event. Let's make your event a memorable one with Its All Glow Events Ltd. 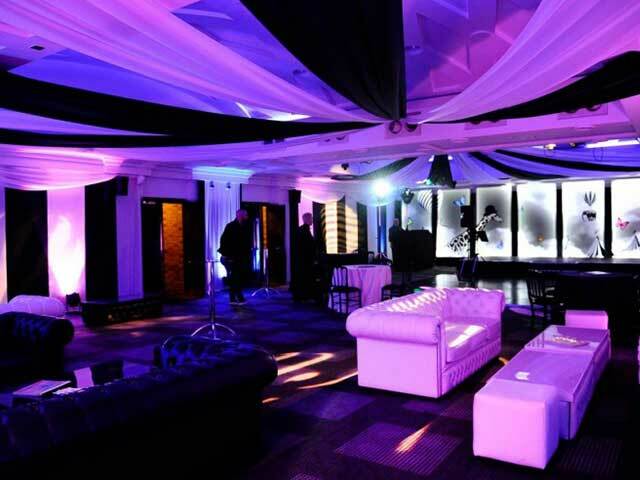 Most popular event management company in London. "The team at It's All Glow are friendly and helpful, a delight to do business with. They make my life as an Events Coordinator a lot better. My clients are always happy with the balloons they supply and so are we... Highly recommended." "We have dealt with Steve at It's All Glow for a few years and they never fail to amaze us with the quality and range of products they can supply. Nothing is too much trouble." "Every Time we have an in-store promotion or we open a new location we always use the team at It's All Glow. They're extremely helpful and do their best to assist us in any way they can. I would recommend them to anyone."